Started in the early 19th century by a group of British painters who rejected the sovereignty of the Royal Academy, the Pre- Raphaelites embraced the natural world and bright colors- as opposed to the dark palettes and amorphous lines that emerged in the wake of the Renaissance. Their mission was to be fundamentally modern by emulating the past. Now readers can appreciate their achievements in this volume that offers side-by-side comparisons of 19th-century masterpieces with the 15th- and 16th-century Early Italian and Early Netherlandish paintings that inspired them. Exquisite reproductions of works by Giotto, Fra Angelico, van Eyck, Botticelli, Titian, Veronese, and Raphael are presented alongside examples by William Holman Hunt, Dante Gabriel Rossetti, John Everett Millais, and others. 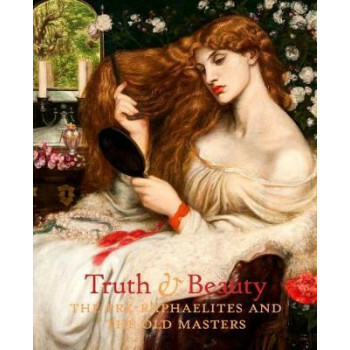 The book traces the evolution of the Pre-Raphaelites, and details how these painters were exposed to the early masters as they traveled and encountered the finest European collections. The volume also features decorative arts, including stained glass and tapestries in emulation of Flemish and French textiles as well as "medievalized" ecclesiastic decorations. The result is an illuminating examination that delves into the aesthetic vocabulary of the Pre-Raphaelites and broadens our understanding of their motives and inspiration.